First, did you know that Google has this site called “Google Arts and Culture” where you can see images of paintings, movements, themes and different art mediums? This is obviously the greatest quote that I’ve never heard. Who said it? What does she mean by it? Where is this statue? Meet Millicent Garrett Fawcett. 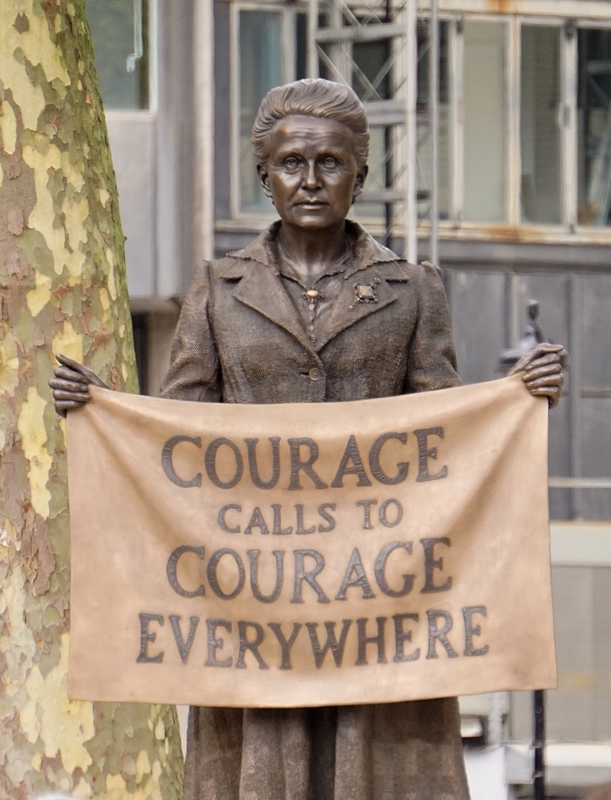 Her statue now stands in Parliament Square in London (the first female statue to be there). She became an activist for women’s suffrage in England when she was 19 in 1866, and spent the rest of her life working for equal rights, representation, and opportunities for women. Women in England didn’t get the right to vote until 1919. I know that math is hard, but that means that she kept at this work for over 50 years. And she did not stop in 1919. Because in 1919, women over the age of 30 who owned property were given the right to vote in England, and Fawcett kept working until all women could vote. She also worked on other issues like ending child marriage, allowing women to appear in court, changing laws that were discriminatory towards women and more. She also worked to improve living conditions in South Africa and India as part of her general interest in human rights. I few years ago, I wrote about my ignorance of how important feminism is on a collaborative blog I did with two friends, and reading the story of Millicent Garrett Fawcett today reminded me again at how grateful I am for the women who came before me. Maybe it’s because we live in the information age, and the world has changed so much from the world as it existed when I was a child, but it seems like the world changes so quickly. How could you possibly spend 50 years working on women getting a basic right like voting? And yet, that is a thing that took a time, persistence, persuasion, rabble rousing and courage.